But what caught my attention was another story in the Times, about a website called ResearchGate designed to encourage scientists to collaborate, share ideas and data, and publish their results. Check it out. This is just the newest installment of many similar efforts to make the web into a platform that encourages scientists to collaborate and share results, intended to bypass traditional academic institutions like conferences and peer reviewed journals. Others include arXiv.org and PLoS. Supporters of online platforms such as these claim the traditional system of peer reviewed journals is too slow, too expensive, too cumbersome, too entrenched, and too strongly tied to an outdated medium (print) to be of any real service anymore. Often, but certainly not always, peer reviewed journals are for-profit companies with shareholders and a bottom line. Thus, the New York Times quotes Scott Aaronson from MIT as saying that he refuses to submit papers or conduct peer review for commercial journals because ““I got tired of giving free labor [to] these very rich for-profit companies.” Personally, this reminded me of the fact that Harvard requires its graduate students to submit their dissertations to ProQuest for digitization and online publication, which the latter does at a profit. However, we are also expected to revise and publish our dissertations as a book within a few years of having graduated (assuming you want to go the academic career route). Of course, most serious presses won’t invest human and financial resources into something that’s already available online for free. There are at least two questions worth thinking about here. One is historical whereas the other is more historiographical. First, the modern peer reviewed journal has a history going back to the 19th if not the 17th century (depending on whom you ask and how you choose to interpret the words “modern” and “journal”). It seems reasonable to suspect this history would have something to add to the current discussion about the place of publication in the modern scientific enterprise if not our intellectual culture more broadly. I can think of at least two historians whose work is relevant to these issues in some way or another. One is Adrian Johns who recently published a big book on Piracy. Another is Alex Csiszar, who is now writing a book about origins of the modern scientific journal as the primary vehicle to document, disseminate, and legitimize scientific results. You can see a précis of his argument here. Second, here is an admittedly speculative historiographical question: what would happen if we got rid of the peer reviewed academic journal entirely? What would be lost and what would be gained? One things seems obvious: much would be gained indeed! The results of our research would be free. University libraries and independent scholars would no longer have to invest scarce resources so we can access each other’s work. It would also reduce the delay between writing and publication considerably. But what would be lost? Good copy-editing and layout perhaps. (Although I’m not so sure. Historians really ought to be able to write reasonably well. After all, writing is what we do. And it’s not asking too much that we also learn to use software like InDesign or LaTeX.) Anything else? One thing I’ve heard people say is that the academy would become even more of an insider’s game. That’s an interesting argument, one that’s worth thinking about. Roughly, the reasoning goes as follows: Most good journals practice blind peer reviews. This means that anyone can submit, and the quality of their work will more or less speak for itself. That’s the assumption anyway. A further assumption is that if you manage to place your work into a highly regarded journal, it will be widely noticed and read. The alternative, an online database like arXiv.org, does not have a mechanism to dampen what we might describe as the academy’s epistemic stratification. People will only read what comes to their attention, meaning that they’ll end up reading the work of the people they already know, either in person or from what they’ve previously read. Despite all the talk of how the internet flattens social hierarchies and promotes egalitarianism, it may actually do the opposite. I pretty much buy this argument, but only about half way. It seems plausible to me that most people primarily seek out the work of people they already know, except I think this is what most of us already do anyway, in print or online. I for one rarely if ever pick up Isis, the BJHS, the JHB, or any other academic journal just to see what catches my eye. Rather, I usually read something because I saw the author give an interesting talk, because it was recommended to me by a friend, because I came across it in a footnote, or because I found it through a search engine. This entry was posted in Lukas, Online Publishing, Peer Review, Print, Wikipedia on January 18, 2012 by americanscience. This is going way out there, but maybe this trend in how general access to literature works (and how you yourself engage with it) is part of a larger shift from organization to search, or from preparatory to opportunistic approaches to information? 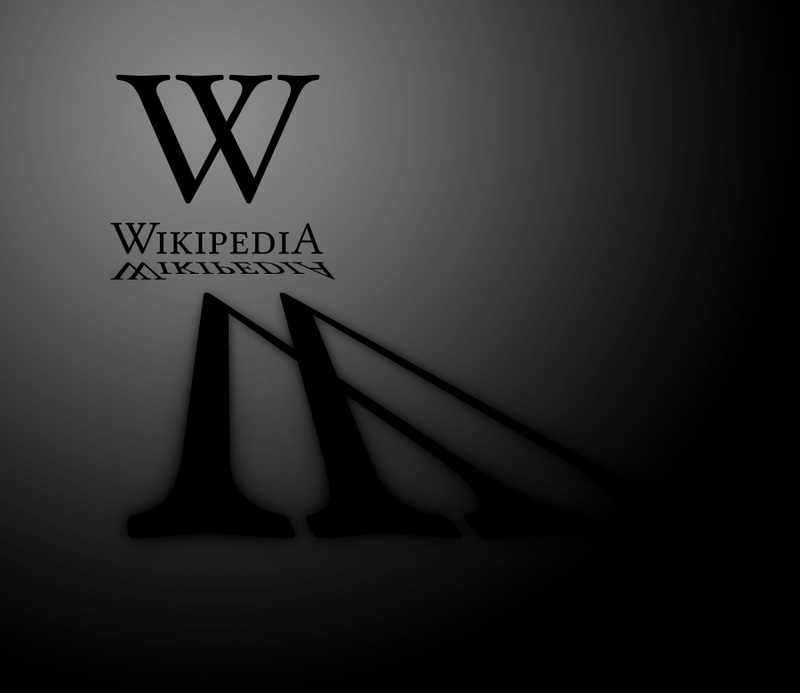 So what's this got to do with Wikipedia and journals? Those arguing for peer-review are arguing for a preparatory organization of sorts – information needs gatekeepers and expert filing. Those arguing for open access and crowd-sourcing are arguing for opportunistic search – just put it all up there, and you'll find what you want. Democracy's the issue here (or one of them), in other words, and it's inflected negatively or positively depending on who you are. Great post. The ResearchGate article came out at a propitious moment and you draw a smart connection to the SOPA protests. It doesn't seem to me that getting rid of for-profit journals is synonymous with eliminating peer review. I think PLoS still relies on a peer review system—and the mechanism of peer review still strikes me as a valuable one (for writers and for readers). Are you (Lukas) supposing the abolition of for-profit journals or of peer review too? But, yes, I do think there are good reasons to get rid of peer review as well. The main problem with peer review, as I see it, is that it tends to decrease the variance in quality of what is published. That is: it certainly eliminates the worst scholarship (if you can even call it that) from going to print. But my sense is that it can also reduce the quality of really good scholarship. In trying to make our reviewers happy, I worry that we often end up not taking risks we otherwise might. Moreover, peer review can muddle up a good story by forcing in all sorts of extraneous details that reviewers might feel are important but that detract from an article's pace and core argument. Yes, I pretty much agree. But there are some major differences between e-mail and articles in peer reviewed journals. Among the most important is the fact that people tend to read most of their e-mail (barring spam and the like) whereas nobody even comes close to reading most of the journal articles that have some bearing on their work. That is, we are the center of our own e-mail network. There is no problem about democracy because e-mail is not meant to disseminate information through an entire community, rather, it was built for communication between individuals. The interesting question that comes out of this might be stated as follows: how much scientific (or historical) information is communicated through such peer-to-peer networks, and how much is communicated through more community-wide dissemination systems (like print, or online databases)? I'd like the scale to tip in favor of the latter (because it is more democratic), but I'm not sure that it does. I also agree with your views and ideas. Thanks a lot share with me this nice one ?